Steel hog ring staples for Rapid manual vine priers. Rapid brand, made in Europe. Steel staples for Rapid LIG150 manual vine priers. For 0.16" - 0.55" (4-14 mm) diameter branches. Steel rings for Rapid LIG175 manual vine priers. 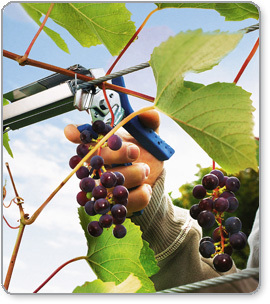 Specially developed for securing thicker (up to 0.79", 20 mm) grape or other vines, bushes or shrubs.